Chris and Krista were best friends before they started dating. They would talk for a few hours almost every Friday night during Chris’ freshman year of college and Krista’s sophomore year. Krista wrote in her journal, after six months of these chats that she saw so many great qualities in Chris that she would really like to have in her future husband! 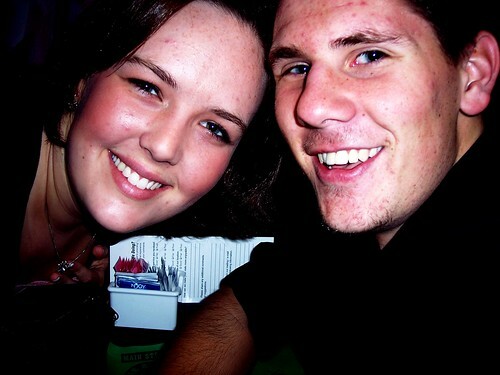 Chris and Krista started dating in college (Krista’s junior year, Chris’ sophomore year). Krista lived in California and Chris in Oklahoma. They dated long distance for 2 years! Krista told Chris after one month of dating that she would be moving to Germany to do the HIM Program after she completed her college degree. If he wasn’t okay with that, then they needed to end the relationship. 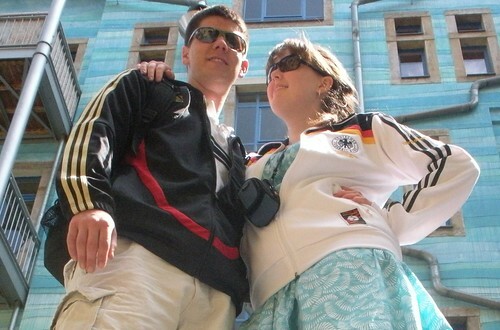 Chris, a half-German himself, said that he had always wanted to live in Germany, but never thought he could ask anyone to go with him. At that point, they knew God was moving their lives in the same direction. 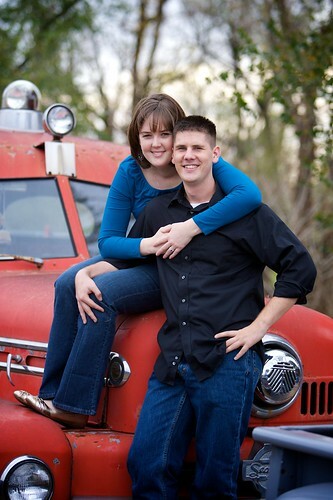 Chris told Krista after 4 months of dating that his dream was to be a firefighter and she needed to really considered what it would mean to marry a firefighter. After much research and consideration, she decided he was worth it. After working the night shift their first year of marriage, Chris’ dreams started to change. At one point in their relationship, Chris and Krista had a dream of learning a craft and setting up a booth on Venice Beach, as their livelihood. That dream may or may not still be alive. Our Proposal Story: You make me want to say I do! Four years ago- the man of my dreams asked me to marry him! It was the weekend of my graduation and he along with the rest of my family was flying out for my college graduation. His original plan was to ask me on the day of graduation, but my mother called him as he was about to board his plane on Friday (the day before graduation) and said, “It has to be today. It’s supposed to rain tomorrow.” Considering it was going to be a beach proposal- she didn’t want to take any chances. We walked down the beach a little ways and sat down in front of the lifeguard stand. Yes, it was Zuma Beach- the Baywatch beach 🙂 And we just so happened to sit down in front of Lifeguard stand #4, which is Chris’ lucky number! He had somehow retrieved a guitar and proceeded play our song for me. (I’ll Be by Edwin Mccain.) But instead of the last line, he sang, “Won’t you marry me, the love of my life?” I was so emotional (typical) and crying that I didn’t even saying anything. And he was like so…yes?